The purpose of publishing to a custom domain is to increase readership - by making a blog more visible, using a non BlogSpot URL. 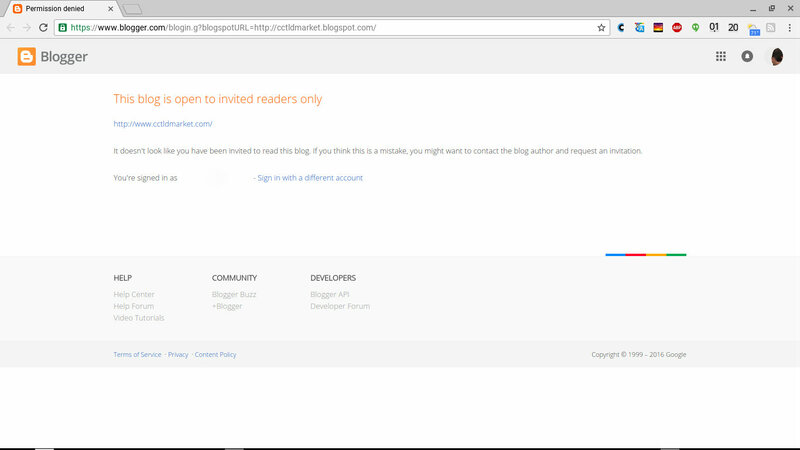 A private blog has limited readership, based on permissions provided by the owner. The need to make a blog private conflicts with the need to increase reader population. Besides the functional conflict, there's a second problem with combining a custom domain published blog, and access by invitation. Both the custom domain redirection, and the private blog redirection involve interstitial code. This is a private blog. Combine this, and a custom domain redirection - and you get trouble. In other cases, the two redirections may lead to a redirect loop - and the reader will see a white screen of death. What ever the result - "Too many redirections", or a redirect loop, the potential reader will never see the blog. If you want to publish a blog, and limit reader access by invitation, you're better off publishing to BlogSpot. If you want to use a non BlogSpot URL, a public blog makes sense. You are allowed to publish a #Blogger blog with a designated reader population - and you're allowed to publish a blog to a non BlogSPot URL. You can publish a private blog to a custom domain, if you wish - but this is not recommended. 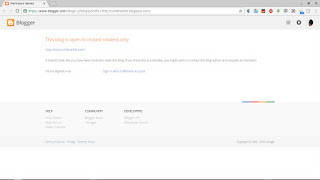 Learn why combining limited access with a non BlogSpot URL is not a good idea.